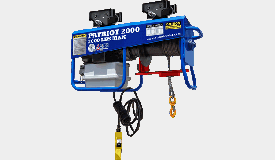 Material Hoist for Scaffolding - American Scaffolding, Inc.
We offer a full line of material hoist from Beta-Max, Hi-Tec Hoist Corporation, and Reimann & George Corporation. 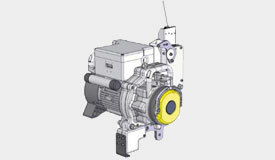 The Bisomac motor has the ability to be converted into a material hoist with stationary or trolleying capabilities. 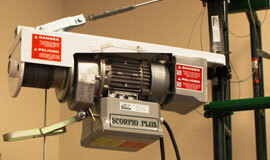 All material hoists can be equipment with many different attachments to suite the material being transported. 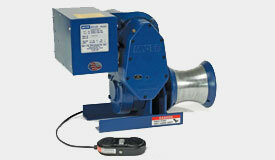 Not sure what hoist will work best for you? 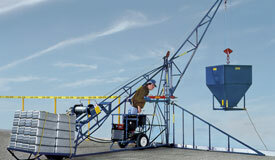 Our highly trained staff will help you select the safest and most efficient hoist to transport your materials.